If you’re looking for a gift that is different for the ‘engine-performance mad’ junky in your life this voucher is the perfect answer. Our Turbo Care gift vouchers can be redeemed against any of our performance turbos, reconditioned models, servicing, repairs and accessories for highway trucks, 4WD’s, boats, rally, passenger or circuit cars. Ranging from $25 – $2000 Turbo Care gift vouchers can be purchased in just a couple of minutes. The voucher will be delivered to your door free of charge. For the man or woman who has everything and is mad about all things cars, trucks, boats and engines… you’re in the right place and in expert hands! 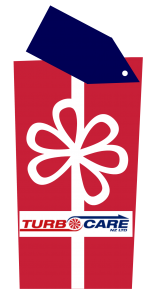 Turbo Care vouchers are valid for 12 months and there is an additional 12 month warranty on parts and labour, excluding race or high performance applications.